Louis Bennett graduated from Glasgow School of Art in 2017, and has since exhibited in various galleries in Scotland and England. His practice is based in figurative painting and drawing, and is concerned with British national identities, histories and politics. His work takes visual cues from diverse sources, from 19th century satirical cartoons to The Beano, helping situate the work firmly within British visual culture. 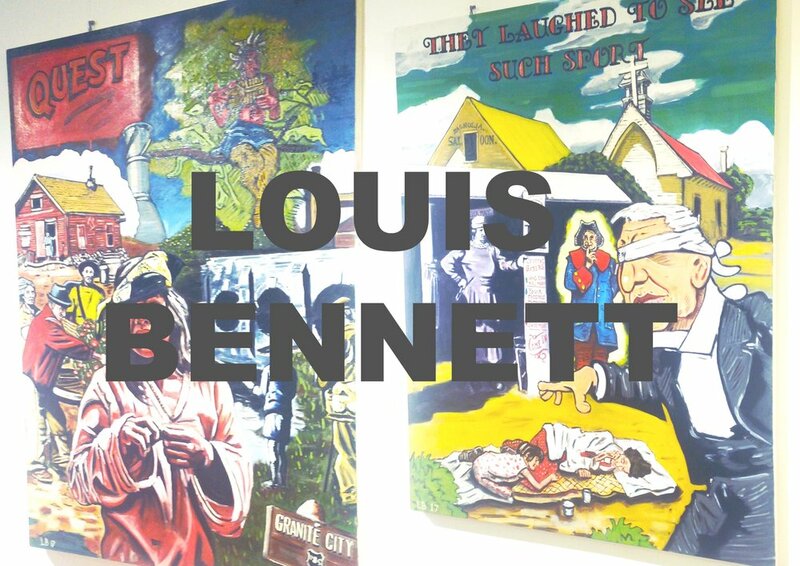 Louis' paintings deal colonial nostalgia, the dangers of nationalism and the contradictions of contemporary Britain. These paintings exist within a dreamlike narrative space where elements of the real collide with fantasy, and the recognisable sits alongside the obscure.